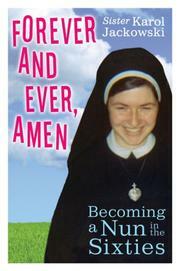 The coming-of-age of one nun, and of the Catholic Church. In 1964, Jackowski (The Silence We Keep, 2004, etc.) joined the Sisters of the Holy Cross in Indiana. Her first years in the convent coincided with the Second Vatican Council, which would transform the culture of the Catholic Church, even the culture of convents. Traditional black habits were exchanged for modest suits; male priests invited the sisters to preside with them at the altar; nuns began singing Bob Dylan songs at Mass. But this isn’t just a chronicle of turbulent change. Jackowski also writes about her appreciation of the traditional forms of Christian spirituality she learned as a young nun, especially silence and contemplative prayer. Living in close quarters with people she didn’t necessarily like taught her about community. Perhaps the most insightful—even transcendent—section is Jackowski’s discussion of the meaning of the three-fold vow of poverty, chastity and obedience: Poverty allows a sister to treat others with equality; celibacy allows her to love everyone equally; and true obedience is the commitment to listen to other people and discern the common truth. But Jackowski’s prose is uneven. She occasionally produces a lovely turn of phrase (every day was “wrapped in silence”), but too often her punishing attempts at humor fall flat (sisters practice self-denial: “nun of this and nun of that”). Jackowski is a natural, however, at character development. She has rendered more than a dozen distinctive, memorable characters, from stern Mother Octavia to hard-drinking Sister Concilio, who hid her liquor in a pink crocheted poodle. The memoir ends as Jackowski takes her final vows—a good setup for a sequel, as readers will be left wanting to know how the changes of the late 1960s played out over the next three decades of the author’s life.